Welcome to Makeup Artist Essentials! We are the premiere beauty site for makeup schools, career guidance, and makeup arts education. If you want to find out how to become a makeup artist, or if you simply want to read top-notch makeup reviews and how-to tips, we've got everything you need. We pride ourselves on being the ultimate resource for makeup artist careers, so we've included a TON of information on our homepage. We'll start with a description of each of the makeup artist careers, but if you get antsy, feel free skip down to the "What You Need to Get Started" section. We've got info on makeup artist licenses, makeup artist schools, salaries, and more. Let's jump in. Here's to your new makeup career! If you love makeup, what are the different ways that you can turn that passion into a career? "Makeup artist" is a term that can mean a lot of different things, and there are literally dozens of ways that you can have a career in makeup. Business, where you can work for cosmetics companies as a sales executive, consultant, or product tester. The opportunities are endless, and many makeup artists ("MUAs") find that their careers take them into each of these areas. Here's a closer look at each of those categories, along with some details about what each career is like. Makeup artists who work with photographers and fashion magazines understand: it's not how the model appears, it's how they appear on camera. A look that may work face-to-face may not look great on camera, so MUAs who do photo shoots and editorial work must anticipate what a photographer's lens will do to the model. They incorporate lighting, flash, color theory, posing, layout, and dozens of other factors to make the final image look fabulous. That sounds tricky, but with time and practice, it becomes a lot easier. When we think of print and online fashion, we think of the big-name magazines: Vogue, Cosmopolitan, Elle, and so on, but there are thousands of publications that require MUAs for photo shoots: clothing catalogs; marketing materials for local businesses; print advertisements for billboards, mailers, and thousands and thousands of independent online websites (such as this one!) that require images with models in them. If you decide to become a MUA, chances are very strong that you'll end up doing some work with photographers! As with runway modeling, avant-garde makeup is popular in print and online magazines, so MUAs who work with photographers are sometimes allowed to really use their creativity. Live runway shows are some of the most exciting events in the fashion industry, and there is a lot of glamour attached to being a haute couture MUA. However, the artists who are hired to work runway events are usually at the top of their game, have a large professional network (and we'll tell you how to build you network below), and have a lot of experience. Because runway shows are high-intensity events, the MUAs need to work very well under pressure, and be able to recreate a very specific look for each of the models. The fashion designer who hire MUAs for runway events tend to have a VERY specific vision, and want the MUAs they hire to create that vision accurately. If you want to become a high-end runway MUA but you don't have the experience, don't fret. People tend to think that runway shows only take place in Los Angeles, New York, Paris, or Milan, but that's not quite true. There are plenty of runway shows in metropolitan areas at warehouses in fashion districts, high-end malls, and conference centers. They're a great place to gain experience and to make professional connections. If you are just starting out as a MUA in the beauty industry, your local makeup counter is a FANTASTIC professional opportunity. You will have dozens of opportunities every single day to work with different skin tones, different facial features, and different products. As we discuss below, becoming an incredible makeup artist is all about practice, and your local makeup counter is the BEST place to get a ton of it. It's like makeup artist school that you get paid for, or make up classes where you can also go shopping. High-end stores like Neiman Marcus, Nordstrom's, and Bergdorf Goodman are options, but if you don't have those stores in your area, you can likely find a makeup counter opportunity in a nearby mall or shopping center. An equally great opportunity---and one that pays a lot more---is to find employment in a spa or salon. You'll work with people who have years of experience, gain exposure to a diverse clientele, and learn how to run a business. You'll also have excellent job security, and you won't to always be on the hustle for your next job. There are pros and cons to salon work, but it can be a fantastic gig. To do makeup in a spa or salon you will need a cosmetologist license, and we'll discuss how to get a cosmetologist license in one of the sections below. For many MUAs, weddings and special events are a major source of income (scroll down to the bottom of the page for a discussion of a makeup artist salary). There's a lot of competition in the fashion and TV and film industry, but wedding makeup and special events makeup is much, much easier to get into. Every night, there are special events in the city near you, and every weekend, there are hundreds of people getting married. 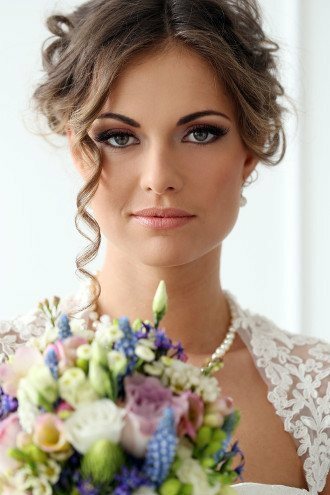 Wedding and Bridal Makeup: A wedding is the ultimate special event, isn't it? Two people who love each other, surrounded by everyone they love, about to promise themselves to marriage? It's enchanting, but as any bride will tell you, there are a lot of things that come together to make the "big day" magical. Makeup artists make brides look beautiful, but their goals are very specific to the unique circumstances of a wedding day. They want to make the couple (most often the bride) look beautiful, but they also need to apply very specific makeup that will make them look great in the photo album. They also need to use products that allow the skin to breathe, the wearer to sweat, and the product to remain in place all day and into the night. There is an art to making brides look natural and not overdone, but as many wedding MUAs will tell you, makeup is only part of the job. The other part is helping brides and grooms stay calm! Bridal makeup is a pretty big topic, so we've written a number of helpful posts on how to become a makeup artist for weddings and bridal events. Theme parks and amusement parks. You name it---if it's photographed or recorded, there are makeup artists who are getting people ready. Formals, proms, and dances would also be included under the "Special Events" category. In terms of MUA careers, the worlds of TV and film are related---you're creating/re-creating a look for a person who is going to be recorded on film---but there are different opportunities in each area. Television. When you think about it, the shows that are air on TV are incredibly varied: there are your sitcoms and cop shows, but there are also morning talk shows, afternoon talk shows, and the local news at night. There are games shows, cooking shows, and documentaries on the cable channels. There are live events, political debates, talent shows, and beauty pageants. In the middle of all of this, there are thousands of commercials! And all those people on all of those shows need makeup. It can be tough to break into television makeup, but once you do, there can be a steady stream of very interesting work. Movies: The big screen is glittery and elegant, but make no mistake: it's tough to break into, and it involves a lot of tough hours and remote filming locations. But if you love makeup and you want to be involved in the movie business, it can be worth the effort. MUAs on film sets can be in a unique opportunity to use their creativity and create the characters that movie-goers get to see, and when the work on a movie that stands the test of time, their work can be seen for years and years. As mentioned, finding MUA work in the movies can be super-tough, but if you've got what it takes and you refuse to quit, it can be incredibly rewarding. (One other thing: when people hear "movies," they often think "Hollywood." But every year there are thousands of independent movies and music videos that are filmed in cities across the world, and it's an incredible place for MUAs to work and learn. In fact, for MUAs outside of New York and Los Angeles, independent movies and music videos can be a thrilling opportunity to develop new skills and meet new people). Just like MUAs who work in fashion, MUAs who find jobs in TV and film need to use different lighting conditions, understand how the actors will look on digital and high definition cameras, and be able to anticipate how a person's movement will affect how they are filmed. If you have you ever dreamed about turning someone into a vampire, morphing them into an alien from another planet, or simply making them look like a gunshot victim, then you would probably enjoy a career as a SFX makeup artist. Use prosthetics to create new facial shapes, body casts, and even entirely new creatures. Special effects makeup is also a very large topic, so as with everything, we've written a ton of posts (including posts about special effects makeup artist schools) to help you get started! One---if you're interested in special effects makeup, check out Face Off on the SyFy channel. You'll love it. Two---if you want an incredible starter book on special effects, check out Special Makeup Effects for Stage and Screen: Making and Applying Prosthetics, by Todd Debreceni. Many people read it before enrolling in make up classes. We also recommend Stage Makeup, by Richard Corson, which is considered by many to be the ultimate book on makeup techniques and principles. It's a little more expensive, but it's an incredibly guide and people swear by it. You can also check out our list of the best SFX makeup books and the best SFX makeup kits. Theatrical makeup is related to special effects makeup and TV/film makeup, but there are subtle differences. Because theater is performed live in front of an audience, theatrical MUAs aren't creating a look for cameras, they're creating a look for actors who are moving around under very powerful stage lights. They're also creating a look that is going to be seen by people who are seated ten to fifty yards away from the actors, and that can be quite different than doing makeup on an actor for a close-up. That poses some unique challenges for the MUA, and theatrical MUAs usually receive specialized training at universities and special effects schools. 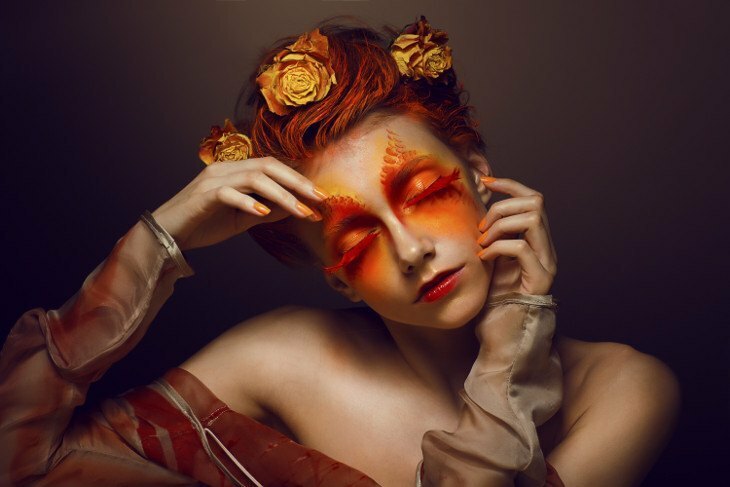 Many MUAs love theatrical makeup because it blends elements of fashion and beauty with special effects. If you think of many of the shows that have been bit hits on Broadway, most of them have a heroine who wears fashion makeup, but also have characters that include elements of special effects. CATS, Wicked, and The Lion King are examples. As with all areas of makeup, there are areas that are very difficult to break into (that would be Broadway), but there are opportunities to do stage makeup in every city and every state. There is local theater, university theater, even theater on cruise ships! Plus, the singers and musicians at musical events also need makeup, and that would technically be "stage" makeup. If you love theater and want to combine it with your love of makeup, stage makeup is for you. An esthetician is a skin care therapist who provides skin analysis, facials, spa treatments, and makeup advice. Makeup application isn't the main part of the job---that would be rejuvenating their clients' skin and teaching them how to care for their bodies---but estheticians often offer makeup advice, and when they work in spas and salons, they often apply makeup at the end of a session. If you like makeup and want to enter the beauty industry, but you're not sure if you want to make makeup a full-time gig, esthetics can be a great choice (plus the salary is actually really high---studies have shown that estheticians are the highest paid workers in the beauty industry). If you're interested in becoming an esthetician, jump over to our "Schools" section and fill in your information to find out about training. And, if you'd like to learn more about esthetics, you can visit our "Related Fields" section on the right. Marketing and Product Development. Cosmetic companies need to create exciting new products every season, and they need creative people brainstorm ideas on colors, textures, materials, and application tools. If you are good at predicting fashion trends, you might be a great fit for product development, and if you're great at creating logos and design elements, you might be a great fit for advertising. Cosmetic companies also go to established MUAs to get their ideas on how to improve their products, so if you've been a makeup artist and you're looking for a change, work as a product developer can be a great opportunity. Advertising. Once a cosmetic company develops a great product, they need people to spread the word. Makeup advertisers launch brand campaigns, create buzz at promotional events, and work with fashion magazines on layouts and ads. Sales. Did you know that salespeople are among the highest paid people in the U.S. workforce? If you have a passion for makeup and an easy way with people, you might want to look into corporate sales. Sales reps need to be knowledge about the products, how they're made, the ingredients used, and the benefits of the products---and why they're better than other products. There are hundreds of tactics that salespeople use, and the best way to become a makeup sales rep is to start at your local department store. You'll learn about products AND you'll learn how to get people to buy stuff. Consulting. This is another option for established MUAs. Cosmetic companies will seek their opinion about trends, new products, outreach opportunities, and what "the word on the street" is. If you've been a makeup artist, consulting can be a great career move. In order to enter the corporate world of makeup, you'll need to work your way up, and many of the men and women who are salespersons or consultants started at the makeup counter at their local department store. There are a lot of benefits to a professional career in makeup: for starters, there's less travel, a better paycheck, and more stability. Corporate makeup jobs are great for people who want to stay local---that have a family, or need to stay close to a certain place, or whatever. It's also a great thing to do if you're no longer up for the travel that being a MUA in the entertainment industry will bring. Want to become a makeup artist? Great! There are four things you need to get started: practice, a makeup kit and product knowledge, a portfolio (both physical and online), and networking skills. No matter what kind of MUA you want to become (and we discuss all of the different makeup jobs you can get below), you're going to need to prepared. And the best way to be prepared is to learn as much as you can and gain a ton of experience. Think about it: there are a million variables that you may have to deal with. Light. Weather. A new blemish on a model's skin. An actor's allergy to a specific product. High-def cameras vs. black-and-white. Challenging costumes. Time constraints. There are SO many things to keep in mind! The good news is, the more you do makeup, the better you get at facing each of these challenges. The more experience you have, the better. So how to get experience? We've written plenty of posts about it, but there are a few tried-and-true methods: go to makeup artist school or cosmetology school (which we'll discuss below), do free makeovers for everyone you know (friends, family, neighbors, classmates---whoever you can get to sit down in front of you! ), and get work at the makeup counter of a local department store. MAKEUP KIT AND PRODUCT KNOWLEDGE. If you're going to practice, you're going to need some tools! A makeup artist will need a supply of professional-grade cosmetics, and s/he will need to know what works---and what doesn't work. We've got an ever-growing list of product reviews, so be sure to check those out---and leave comments! We want to know what you think about different products and their use. If you've just fallen in love with makeup and you want to develop your stash, a makeup starter kit can be very helpful. We've compiled a list of our top five makeup kits for starters. After time, you'll be able to pick and choose the exact products that work for you (and your clients!). If you're just starting your makeup artist career (or just about to), we've compiled a list of our favorite makeup artist kits. Even as you gain product knowledge, you'll need to keep learning. That's one of the wonderful things about makeup---it's ALWAYS evolving! Just like any visual artist, you'll need to develop a portfolio. A portfolio (sometimes called a "book") is a photographic collection of the work that you've done and the people you've worked with. Makeup artists use their portfolio to advertise how awesome they are and to find new jobs. Ideally, a portfolio will show off the MUA's most incredible work, and his/her ability to create (and re-create) a large number of looks and styles. Your portfolio is where you show the world how amazing you are, so you want it to look right. We've included posts about how to get high-quality photos of your work, what kind of styles to include, and how to arrange your images. There are two types of portfolios: a print portfolio and an online portfolio. A print portfolio is usually kept in a leather binder, and includes high-quality photos (usually 9 x 12 inches or 11 x 14 inches). Having an actual portfolio that you carry around can seem a little old-fashioned, but they come in very handy when you're one-on-one interviews with potential employers. In your online portfolio, you can include photos, video, and other multi-media files. Online portfolios are SUPER important, because they're available to anyone, anywhere, at any time. It's how people are most likely going to find you. There are websites that will allow you to host your online portfolio for free, but we recommend getting your own website. It used to be really difficult to make your own website, but all that has changed, and it's actually really simple---if you can operate a cell phone, you can create your own website. We've detailed the entire process of buying and making a site, and we show you how to make a website in less than five minutes. Seriously! There's another reason why it's a good idea to have your own website: you might end up making money from it! When you use a free website service, most of the time you're not allowed to make it into a commercial website. But there are TONS of people who have started beauty blogs and made money from them. Other people have done it, so why can't you? This is one of the more challenging parts of learning how to become a makeup artist. Many MUAs work for themselves---that's one of the best (and most difficult) parts of the job---and networking is vitally important to building your business. Basically, it's about being able to meet people, offer your services, and build a list of people who would recommend you to others. Get business cards (with a QR code that brings people to your online portfolio), and hand them out to literally everybody you come across. Reach out to local universities and art colleges, and let them know that you are available for photography shoots, independent movies, and fashion shows. Contact local event planning agencies and PR agencies, to see if they can use your services. Call conference centers in your nearest metropolitan center, and try to negotiate a contract to work on their guest speakers and clients. Find any websites dedicated to your area of makeup, and make sure you're listed in their directories. For example, if you want to build a business as a bridal makeup artist, you would submit your name and business info to Wedding Wire, Wedding.com, TheKnot.com, Weddingful.com, etc. Reach out to local professionals, and if they offer private make up classes, sign up! You'll learn something new, and make a professional connection. Keep an active list of people you've worked with, and reach out them when appropriate---when you've got a new studio, or a promotion coming up, or big news about your career. Finally, be active in your community and meet people. If you live in the city, go to fashion events and meet people, go to boutiques you like and introduce yourself, go to salons and get to know the staff. If you live in a smaller community, do the same, but get involved in local organizations that can extend your reach, such as artist collectives, church groups, and business organizations. As always, we've written posts about how to start networking and get your business rolling. We think these are truly helpful, because it's a topic that they don't talk much about in a makeup artist school or a cosmetology school. A quick word about networking: for many people, the idea of networking is absolutely, 100%, terrifying. And awful. And no fun. And I want to run away and quit. But that is totally ok. Luckily, networking is something that you can get better at, and after you've been doing it for a while, you'll forget why you were ever nervous in the first place. Do I Need A Makeup Artist License? For most jobs in the beauty industry, you'll need a license from the state you want to work. If you want to be a hair stylist, esthetician, manicurist, barber, etc, you would need to go to cosmetology school for training and then pass a test administered by the state you want to work in. There is no state in the U.S. that issues a makeup artist license. You will, however, need a cosmetologist license for certain makeup careers. If you want to be a freelance MUA and work on models, actors, etc, where you ONLY work on makeup, you don't need a cosmetologist license. If you want to be a freelance MUA and work on models, actors, etc, where you work on makeup AND hair or nails, you will need a cosmetologist license. If you want to do makeup in any kind of spa, salon, boutique, or beauty parlor, you will need a cosmetologist's license. If you want to do bridal makeup in people's private homes, church, or dining hall before a wedding, you don't need a license. If you want to do bridal makeup in a spa, salon, boutique, or beauty parlor, you'll need a cosmetologist's license. Here's a simple way to remember it: if you plan on working in any kind of establishment, you'll need a cosmetologist license to do makeup. If you want to be a freelance artist and not work in any kind of establishment, you don't need a cosmetologist license to do makeup. As we mentioned above, you don't technically need to go to school. The people who will hire you for makeup gigs don't care whether you graduated at the top of your class or whether you never went at all. They just want to know that you know what you're doing and that you can get the job done. So that means you don't need to go to school, right? That's technically true, but for some people, going to school---either a makeup school or a cosmetology school---is a really good idea. If, however, you are a self-starter, and are comfortable learning everything you'll need to know, you can save some money and time by skipping it. Schools are expensive! Schools cost money, and most people have to borrow money to attend, and paying back students loans for schools is the worst thing ever. Technically, you don't need to go to school, and it's not guaranteed that you'll get a job as a MUA when you graduate. Also, a cosmetology program focuses on a lot of topics that are not makeup. Many MUAs say that they learned more from working from the field than they did in school. There is an unbelievable amount of material available to you online (some free, some not). There are YouTube videos, tutorials, makeup books---you name it. If you are truly disciplined and want to be self-taught, that is totally do-able. Ultimately, it is your skill, your determination, and your ability to market yourself that will get you to where you want to be, regardless of whether you went to school or not. It takes some time to start a career as a makeup artist, and it's good to have an income while you're getting your business off the ground. Plus, if you're starting out as a bridal MUA and most of your work is on Saturdays and Sundays, it can be VERY nice to have work during the week. If you ever decide that being a MUA isn't for you, but you still want to work in the beauty industry, it can be a VERY good thing to have a cosmetologist license to fall back on. Attending schools lets people know you've been properly trained. If a bride has to choose between someone who has a cosmetology license and someone who doesn't have a cosmetology license, she's more likely to choose the MUA with a license. If you go to a cosmetology or esthetician school, the likelihood that you'll find work is very, very high, because there are tens of thousands of salons and spas in the United States, whereas jobs for MUAs are much more difficult to find. If you are interested in going to a makeup school or a beauty school, or simply interested in learning more about makeup school or cosmetology school, enter your information in the box below and school will call you to discuss your options. Should I Go to Cosmetology School or Makeup School? That's up to you! It all depends on what you want out of your career. We've found that many young people who are interested in a career as a MUA are actually more interested in cosmetology. And if that's the case, that's wonderful! Follow your heart and follow your gut. In order to help you determine the right career path, we've written a couple of posts about careers related to makeup that are a great for people who love makeup, but don't want to be bound to makeup for their entire career. You can find them here. Should I Go to SFX Makeup School? There are some top-notch special effects makeup schools in the United States, including Cosmix School of Makeup Artistry in Florida, Make Up First School of Makeup Artistry in Chicago, Tom Savini’s Special Make-Up Effects Program in Pennsylvania, and the Cinema Makeup School and EI School of Professional Makeup (both in California). These schools provide an excellent (if somewhat expensive) education. There aren't too many schools, and we've compiled a directory of the schools that are available. As it is with people who want to become fashion MUAs, technically, you don't need to get a makeup artist license, and you don't need to go to school. For some people, it's ok to skip it; for other people, training is a very good idea. Special Makeup Effects for Stage and Screen: Making and Applying Prosthetics by Todd Debreceni. Stage Makeup by Rochard Corson. Here are the last measurements taken in May 2014. The lowest ten percent of MUAs made $18,780 per year, or about $9.03 per hour. Keep in mind---those people who are making $60,000 per year have a lot of experience! It takes a lot of work and determination to get to that level. We don't want to be a buzzkill, but you won't be pulling in $60 grand in your first year. But it's nice to know that makeup artists can eventually make that much! Something else to keep in mind: the income that makeup artists earn varies widely depending on what they do and where they do it. For instance, a bridal MUA in New Jersey will probably make a lot less than a MUA working in Hollywood on motion pictures. MUAs in Florida made $36,550 per year. That's totally ok! We're here for you. As we mentioned on our "About" page, we want you to success and be blissfully happy. It takes a while to find out how to become a makeup artist, and it's a lot to take in. If you love makeup and you want to make this your career, we'll provide you with all the info you need. Take a look around, leave some comments, and send us your questions. Chin up---you can do it!